The journey just got interesting. I'm now a full time publisher. Crystal Lake Publishing has open spots for authors looking for edits or mentorship. Since I'm now publishing full time, I've decided to put some of that time into editing and mentoring along with the Crystal Lake team, specifically editors Monique-Cherie Snyman and Ben Eads. WRITERS ON WRITING VOL.1 is now permanently FREE! That's On Writing advice by Jack Ketchum, Brian Hodge, Mercedes Murdock Yardley, Tim Waggoner, Jasper Bark, Kevin Lucia, Monique-Cherie Snyman, Todd Keisling, and Dave de Burgh. Edited by Joe Mynhardt. There's also a link inside the book to exclusive content for the entire Writers on Writing series, which includes even more advice and cool stuff. 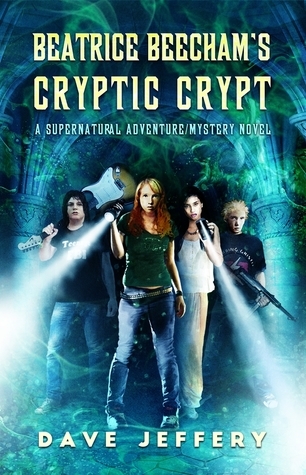 You are only four clicks away from possibly winning 10 Crystal Lake eBook titles. Including Eidolon Avenue by Jonathan Winn; Blackwater Val by Bill Gorman; Wind Chill by Patrick Rutigliano; Through a Mirror, Darkly by Kevin Lucia; Nameless byMercedes Murdock Yardley; Fear the Reaper (anthology); Gutted: Beautiful Horror Stories (anthology); Run to Ground by Jasper Bark; Tales from The Lake Vol.2 (anthology), and Writers on Writing Vol.4 (non-fiction). Now that’s what I call holiday reading! 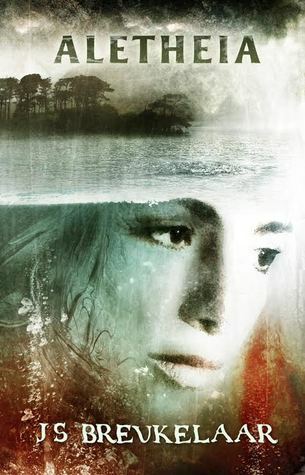 Just answer the question (http://www.crystallakepub.com/giveaways/xmas-giveaway-from-crystal-lake-10-ebooks-to-10-lucky-winners/) to enter (ends December 26th). And remember to share your special URL once entered. For every person who joins because they clicked on your link, you’ll get five more entries. Proudly brought to you by Crystal Lake Publishing - Tales from the Darkest Depths. Now go get your books! Great promo and email list builder, Joe. Thanks for the free ebook, too. I snatched Volume One yesterday. I made it myself this morning. Attention unpublished authors. Enter and win HorrorAddicts.net’s competition and Crystal Lake Publishing will publish your novel. 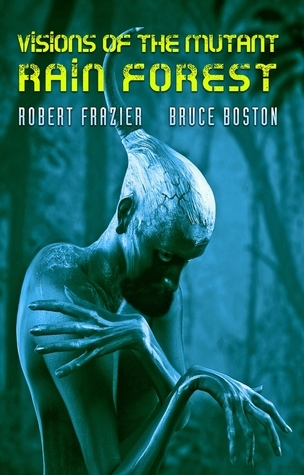 Out today from Crystal Lake Publishing: the solo and collaborative works of Robert Frazier and Bruce Boston’s exploration of the Mutant Rain Forest. “…remarkable feat of literary imagination.” – James P. Kelly, winner of the Hugo, Nebula & Locus awards. Welcome to the Mutant Rain Forest! A suspense thriller of home-coming, loss and Gila Monsters. 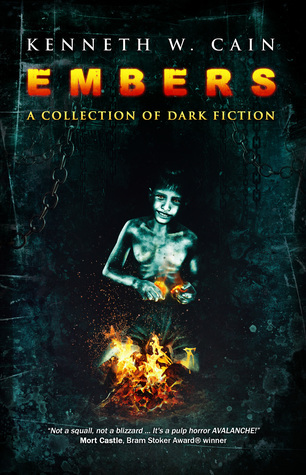 From the author of the short story collections These Old Tales and Fresh Cut Tales comes his latest effort, Embers: A Collection of Dark Fiction. In his youth Cain developed a sense of wonderment owed in part to TV shows like The Twilight Zone, The Outer Limits, One Step Beyond and Alfred Hitchcock Presents. Now Cain seeks the same dark overtones in his writing. There’s a little something for every reader. These 25 short speculative stories represent the smoldering remains of a blaze, the fiery bits meant to ignite the mind with slow-burning imagery and smoky twists and turns. These are the very embers of Cain’s soul. In this collection, Cain features stories of troubled men and women, both living and dead. Themes of loss and the afterlife take on many forms, as he explores the unknown. For instance, “The Chamber” focuses on a hardened veteran of World War II who has committed heinous crimes. He seeks only to find peace from his conscience, but sometimes that comes at a great loss. “Valerie’s Window” visits a small town amid a tragic end to humanity. Only things are not as they seem, and the more Valerie comes to know herself, the more her reality is revealed. “The Benefit of Being Weighty” has a humorous side, but the theme of this story revolves around fat shaming and the price one must pay for being so ignorant. Hopefully, these three short descriptions have increased your curiosity. It’s book release day! 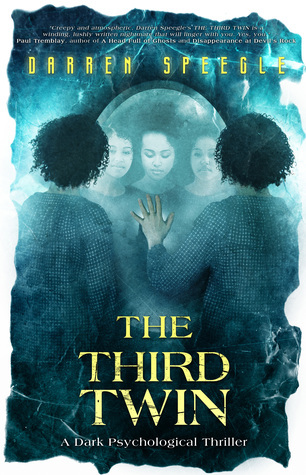 Pick up Crystal Lake’s latest novel at the launch price of only 99c (price goes up to $3.99 later today): http://getbook.at/ThirdTwin - available in Kindle, Kindle Unlimited, and paperback! Barry Ocason, extreme sportsman and outdoor travel writer, seeks answers to why an individual known only as the elephant man is terrorizing his family. Barry and his daughter Kristen, who survived a twin sister taken from the family at a young age, travel from Juneau, Alaska to the sinister Spider Festival in Rio Tabo, Brazil, where the puzzle begins to come together.